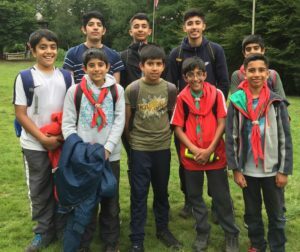 On 27th July, 39th Sheffield Scouts headed down to Kibblestone Scouting Camp for the first International MSF (Muslim Scout Fellowship) Jamboree. It was a three day event and our first ever Jamboree. 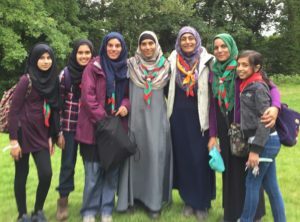 More than 40 Muslim scout groups from all over the country attended and over 1400 Muslim scouts from around the world came together. It was an action packed weekend including tree climbing, archery, high ropes, and Jacob’s ladder. 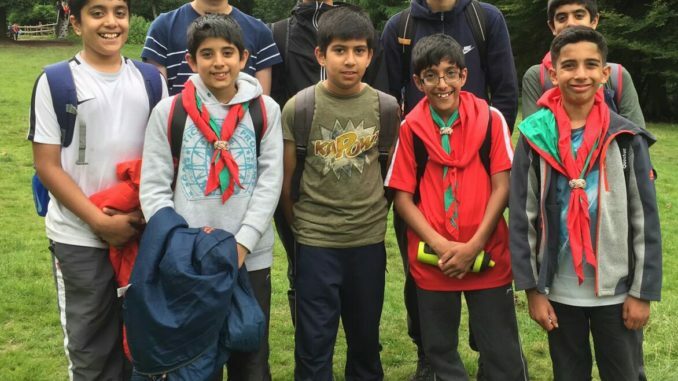 Haroon, Ayaan and Idrees all agreed the range of activities was absolutely amazing. 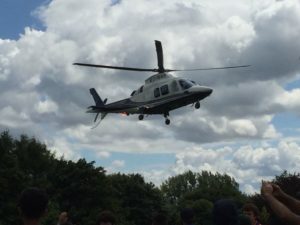 The highlight of the weekend was when Bear Grylls surprised us as the special guest and arrived by helicopter as part of his “Bear in the Air” summer programme. He talked to all of us about the importance and benefits of scouting.